It is clear that whatever is in 'the memo' will reflect poorly on The FBI (past, and perhaps present). "With regard to the House Intelligence Committee’s memorandum, the FBI was provided a limited opportunity to review this memo the day before the committee voted to release it. As expressed during our initial review, we have grave concerns about material omissions of fact that fundamentally impact the memo’s accuracy," the FBI said in a statement. 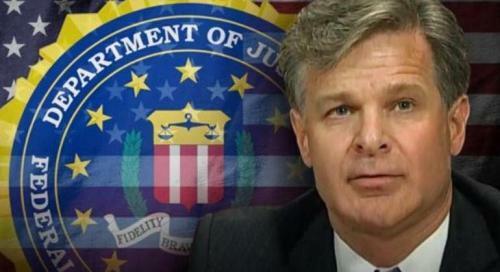 But now, according to CBS News senior national security analyst Fran Townsend, FBI director Christopher Wray is prepared to issue a rebuttal if the White House releases Rep. Devin Nunes's classified memo alleging inappropriate surveillance of the Trump campaign by the FBI and Justice Department. Of course, given the allegedly terrible picture the memo paints of The FBI, it is perhaps not entirely surprising that Wary would oppose its release and rebutt its accusations.